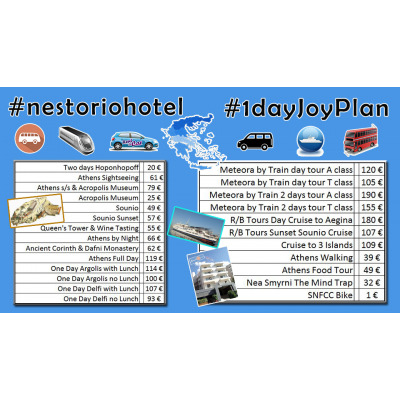 Thank you for sharing experiences and ideas through www.nestoriohotel.gr. 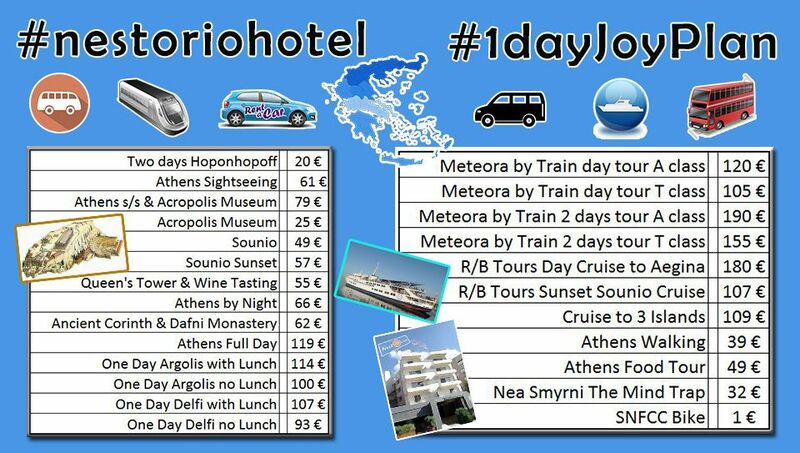 We want to help you choosing the tours that suit you during your stay in Greece. By choosing @nestoriohotel you have the opportunity to be near the sea, harbor and city center. We've created 3 graphs with topics that you might be interested in. 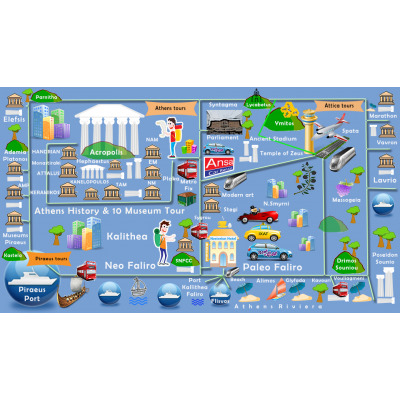 Typical points, paths, museums, monuments, city tours, day trips outside Athens up to 200 km. The place offers endless opportunities for visits, enjoyment, relaxation. 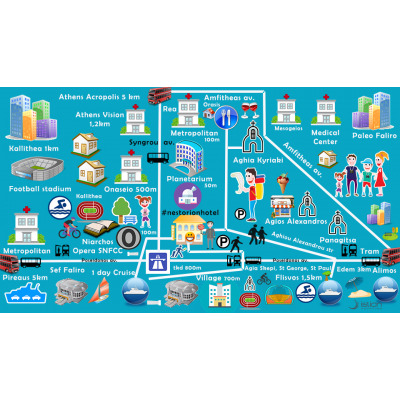 1st: The area of ​​Faliro includes sea, harbor, marina, sports facilities, archaeological sites, exhibition grounds, hotels, shipping and other companies. But above all the new national opera and the library. It is now a center of civilization. It is also the first closest to Athens exit to the sea. 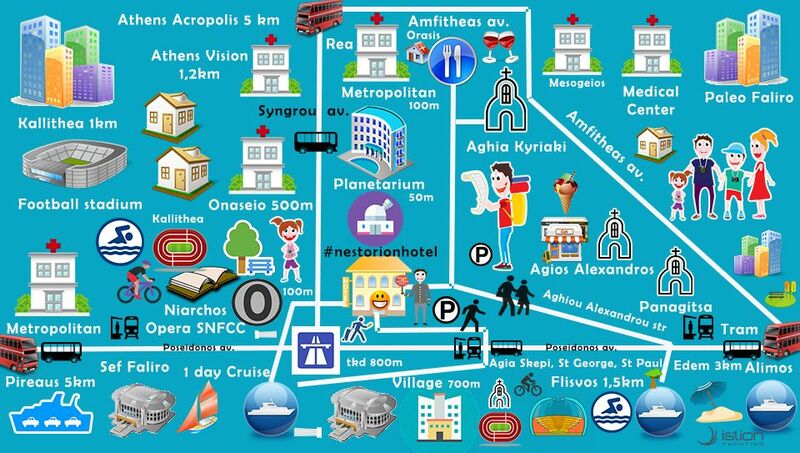 The above are a few meters from the Nestoriohotel. 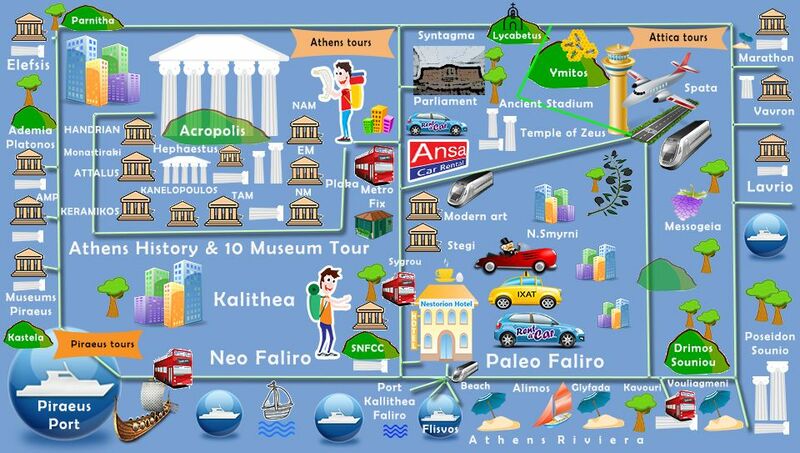 2nd: The center of Athens is 5 km from the hotel. The port of Piraeus is 5 km from the hotel. 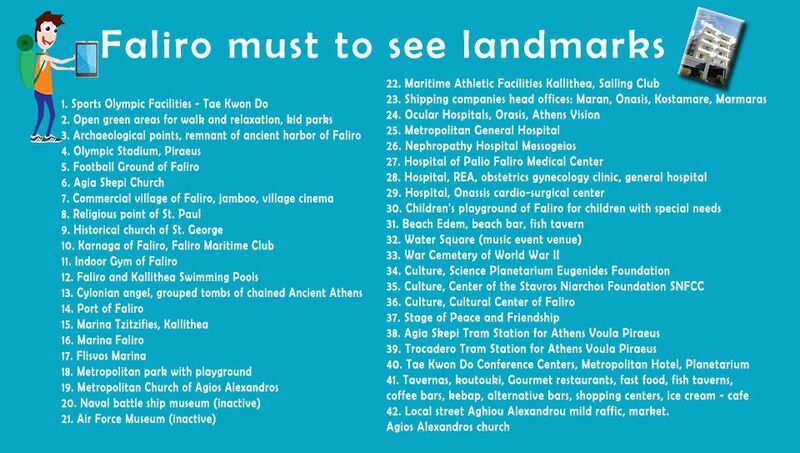 Within a radius of 20-40 km outside Athens there are wonderful monuments, beaches and mountains to visit. With a rental car, local transport or organized tour with a tour guide from a specialized tour operator, you can fill your day creatively. Additionally, Attica offers many places of traditional food that will remain unforgettable. 3rd: Greece is not an immense country. You can move from the center to the province easily and quickly. Just anticipate it and organize it. Ideal distance for one day trip is up to 200 km. 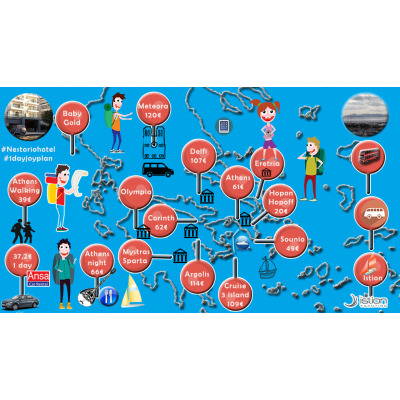 Hotel people can suggest very nice routes. Close to archaeological monuments, beaches, the first capital of the Greek state Nafplion, Venetian fortresses, historic canals and other beauties. 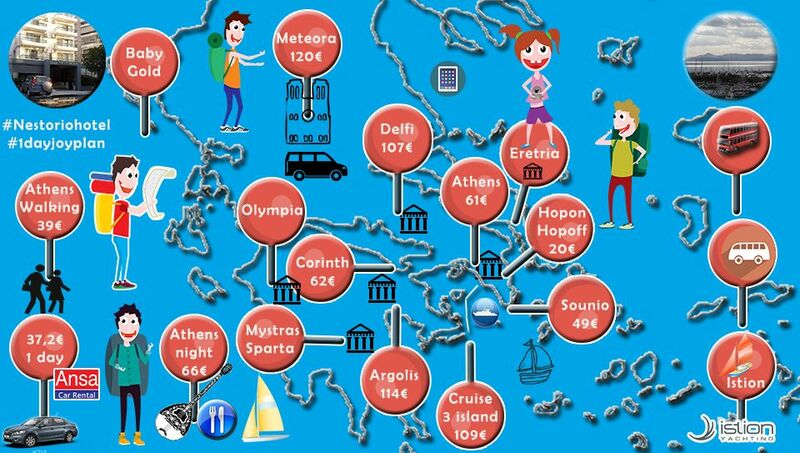 The ways of performing these walks: By rented car, with organized tours with touring buses. Thank you, Good trip, Good stay, Good return.